Greyfriars Pharmacy in Great Yarmouth town centre, open 7 days a week for all your pharmacy needs. Follow signs for Great Yarmouth's town centre or heritage quarter. 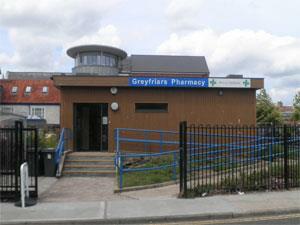 Greyfriars Pharmacy is located on Greyfriars Way with plenty of parking close by.